BERRYZILLA is a registered trademark and StickerCiti is the only authorized seller of BERRYZILLA branded products. 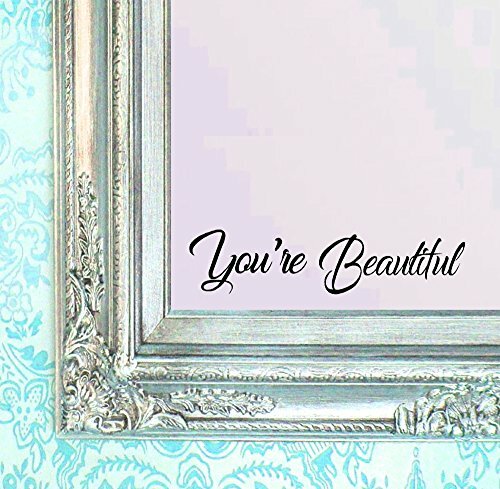 (( Proudly Made In The USA )) 2015 StickerCiti // Ships and sold ONLY by StickerCiti //You are Beautiful Decal Is a US Copyrighed design by StickerCiti Made of 7 Years Premium quality Outdoor Vinyl Material, waterproof, self-adhesive, and removable. Decal will not fade or run when wet. Decals can be EASY applied to any clean, smooth, flat surface. Decal has clear application tape over the top for easy application, Clear application tape is removed once Decal is applied. Designed by StickerCiti and 1) Proudly Made In The USA BERRYZILLA is a registered trademark and StickerCiti is the only authorized seller of BERRYZILLA branded products.